Every Wednesday at 9:13 am, one of Pittsburgh's finest music writers joins me (Cindy Howes) on the Morning Mix to play a couple favorite new songs and share some insight. Today we welcome Andy Mulkerin! In case you missed it here's what he played with commentary by Andy. Ezra Furman, "My Zero" - This one dropped in the fall and is a great mix of raucous punk-y stuff and literary lyricism. One of my most lamented show-misses of the year; I think I had band practice the night he came to town or something. But I did see him a few years back, and it was excellent! Phosphorescent, "Ride On/Right On" - Phosphorescent (Matthew Houck) brought one of my favorite albums of the year, Muchacho -- vulnerable but self-assured, soft but not boring. Everyone knows the first single, "Song for Zula"; this song, the song I played, "Ride On/Right On," comes immediately after that one on the album, and amps up the energy some. Mount Moriah, "Younger Days" - Mount Moriah gave one of my favorite shows I DID make it to this year. I've been following Heather McEntire (metaphorically speaking) since her early days in Bellafea; she's quieted down but also rounded out well as a songwriter in Mount Moriah. 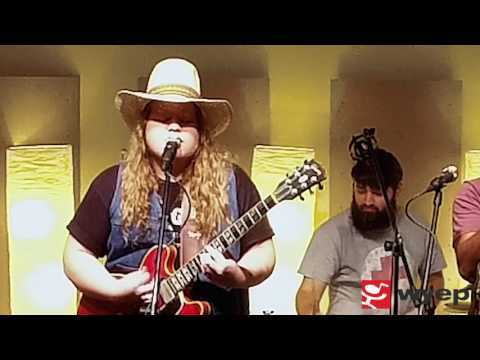 Pretty alt-country stuff from North Carolina.